Those who fill out and submit a U.S. Xpress application are looking to join a company that strives to offer their customers outstanding service while making sure that their orders are delivered on time. Links to apply for jobs at U.S. Xpress are at the bottom of the page. 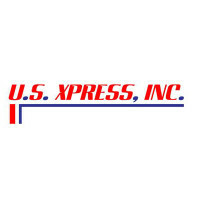 Founded on January 21, 1986 by Max Fuller and Patrick Quinn, U.S Xpress has striven to become one of the top shipping companies in the United States. As they celebrated their twenty-fifth anniversary in 2011, U.S. Xpress worked to say thank you to all of their employees, recognizing that they couldn’t have gotten to where they are today without them. In 2013, U.S. Xpress had almost ten thousand employees with over four thousand trailers to help them deliver their customer’s products. Besides their regular trailers, the company also has over a hundred contracted owner-operators. On a yearly basis, this company has over a billion dollars in profit. U.S. Xpress strives to be a great place for customers to go to for shipping and for their employees to work at. In all of their offices, they offer a number of training opportunities in order to retain their employees and make sure that they’re doing the outstanding job that customers expect. A majority of U.S. Xpress jobs at the corporate level are based out of Chattanooga, Tennessee and are geared towards making sure that the company is working smoothly. Some positions work with drivers as they have a small base coming out of the city, and maintain a small garage. Several U.S. Xpress careers are at the local level and scattered across the United States in order to have offices and garages for local customers to meet their agents at. Also, with garages across the country, it becomes easier and faster for drivers to pick up their products and find someone with the company to service their trailers and trucks. How old do you have to be to work at U.S. Xpress? Age requirements vary by position. As you browse U.S. Xpress jobs online, make sure to read all the position needs carefully. Some jobs may require various degrees, certifications, or experiences before you take on the position. People who drive for U.S. Xpress get several benefits. Some of these benefits include health insurance, dental and vision insurance, life insurance, a 401K, and direct deposit. Several drivers are also allowed to bring pets on board their trucks, usually a cat or a non-aggressive breed of dog. Diesel Mechanic – As needed, you’ll work to diagnose any issues that the trucks may have before working to repair the issue. You will need to have the skills and capability to work on both the inside, outside, and engine of the trucks. Compensation is around $35,000 a year. Account Supervisor – You will work with customers to develop a sense of partnership with them in order to make them feel like a part of the family. As needed, you’ll meet with customers and talk with drivers to make sure that the products will be delivered on time. Compensation is around $35,000 a year. Trailer Technician – When trucks roll in and before they roll out, you’ll look at the trailers to make sure everything is working properly. Maintaining a clean and organized work space is a must as you will strive to have high and fast turnover time. Compensation is around $35,000 a year. Fleet Manager Trainee – Before you can become a Fleet Manager, you’ll be put through a six week training program to teach you what is expected of the position. You will work closely with a number of drivers and fellow managers who will instruct you on how to become a great manager that people will want to work with. Compensation is around $35,000 a year. Why do you want to work for U.S. Xpress? This is an extremely common interview question, so you should be prepared for it. Talk about what drew you to the company, whether it was the culture or benefits and why it’s your first choice in places to work. What experience do you have? If you have relevant experience, make sure to highlight it. If you don’t, talk about what you can bring to the position and offer the company. Use plenty of examples to back up and support any claims that you may make. Because U.S. Xpress relies heavily on their customers for business, you may be asked this question in the form of a hypothetical situation: How would you take care of an upset customer? Walk your interviewer though the steps you would take in order to turn the customer’s experience around, making sure to be practical and realistic. Several positions may require standing for long periods of time or carrying heavy objects, so you may be asked: Is there anything that could keep you from doing your job? If you’re straightforward, the company will probably work with you. So make sure to be honest and explain anything that could stop you from doing the job to the best of your ability. How to apply for U.S. Xpress online: start by deciding if you would like to become a driver or work in an office or garage. Once you’ve decided, search for the position you’re interested in near where you live or would like to work. Read through all the position needs before filling out and submitting your U.S. Xpress application. There is no printable application for U.S. Xpress available on their website. Before attending your interview, do research on U.S. Xpress and the industry in order to create a list of questions that you can ask. For an entry level position, this may seem excessive, but it will place you above the other candidates as it shows that you think ahead and are prepared. Your interview will probably take place in a semi-formal setting, so you should dress for it in business casual. If you’ve applied for a managerial or supervisory position, a suit would be appropriate. Have a positive and friendly demeanor for your interview because it will give a good impression. Show gratitude at the opportunity to interview with this company. After your interview, inquire about the best way to check on your hiring status. Very few candidates will learn if they got the position during their interview because U.S. Xpress will want to screen all candidates before making a final decision on who they hire. Time Warner: Visit the job application for Time Warner to apply today. Alabama Power: Visit the job application for Alabama Power to apply today. SCANA Corporation: See our resource page for more information on SCANA Corporation careers. Spherion Staffing And Recruiting: Spherion Staffing And Recruiting offers opportunities for both, beginners and experienced roles. Labor Finders: For career opportunities, fill out the Labor Finders online application.